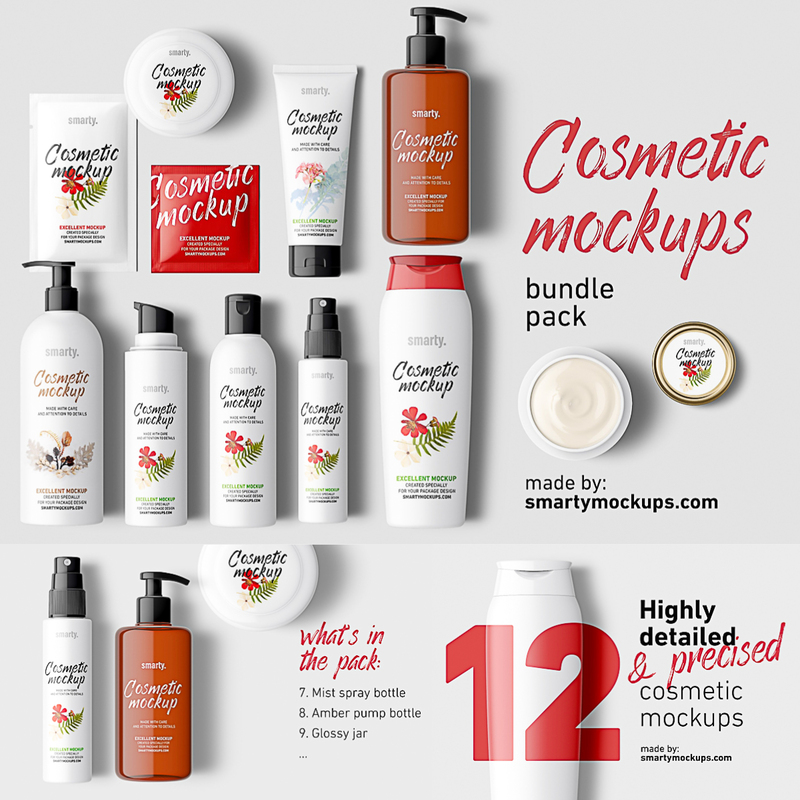 Set of 12 cosmetic mockups perfect for any presentation. Each mockup may be used as a single product presentation or as in larger group scene. Each PSD file with mockup contains: realistic shadow layer, highlights layer, realistically warped, label layer. Tags: cosmetics, cosmetics mock-up, cream, jar, mist, packaging, plastic, scene, shampoo, spray, tube.